Black Friday Record Store Day exclusive release! 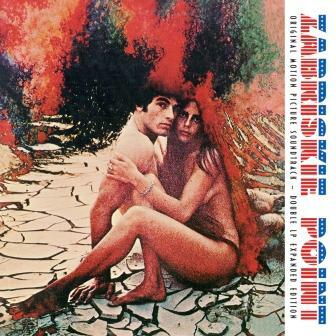 Long out of print soundtrack from the 1970 film by Italian director Michelangelo Anonioni, widely noted at the time for its setting in the late 1960s counter-culture of the United States. Some of the film's scenes were filmed on location at Zabriskie Point in Death Valley. This expanded 2 LP version features four songs from both Jerry Garcia and Pink Floyd that did not appear on the original soundtrack release. Limited edition of 4000 copies.